These wonderful Chinoiserie pillows are a great example of how one perfect piece can transform a room. Use one of these on a sofa, chair, or bed for a great pick me up for any space. 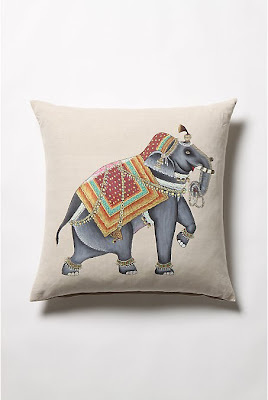 Hand Painted Elephant Pillow by John Robshaw at Anthropologie. 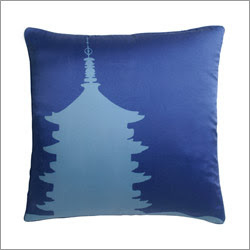 Silk Blue Pagoda Pillow by BlisslivingHome at All Modern. Pagoda Linen Pillow from The Well Appointed House. Shanghai Pillow in Fuchsia from The Well Appointed House. 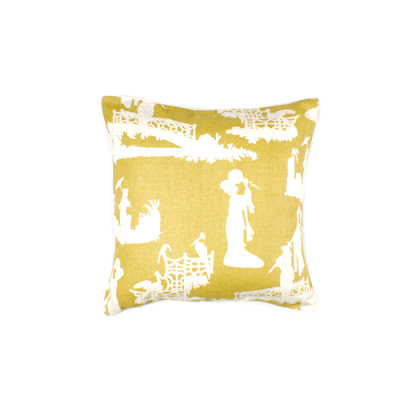 Chinoiserie Pillow in Corn by Thomas Paul at Burke Decor. 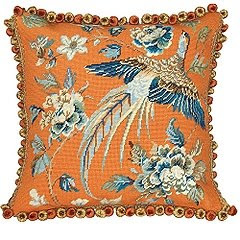 Chinoiserie Bird Needlepoint Pillow at Ballard Designs.